Thrombophiliacs with Protein S Deficiency usually take oral anticoagulant medication and will therefore suffer increased bleeding during dental treatment and more extensive bruising of the gums. Looking after your teeth is a very smart option to take! When you have your next dental checkup you should explain your medical history to your dentist before any work is undertaken. They can then contact your haematologist to discuss an appropriate course of action. Your dentist, in partnership with advice from your haematologist, will often reduce the dosage of anticoagulant medication a few days prior to treatment to avoid unnecessary bleeding. Your dentist will normally ask for your current INR before treatment so it will help you to plan an afternoon appointment with them. This way you will have the chance to visit your blood testing clinic earlier in the day. Remember to allow enough time for the laboratory to process your blood sample too. If your INR is too high, perhaps more than 2.0, you may need to have the treatment postponed. This is at the discretion of your dentist but you are also entitled to raise an objection if the dentist decides to press ahead. Be wary of any dentist who carries on regardless as extensive bruising of the gums can be painful for several days. Regular checkups with your dentist are essential to preventing expensive and extensive treatments. Since extensive bleeding is to be expected the dentist may undertake work in smaller stages, perhaps only doing a temporary filling with a follow-up for amalgam rather than doing things in one go. A root filling may take three or more visits. 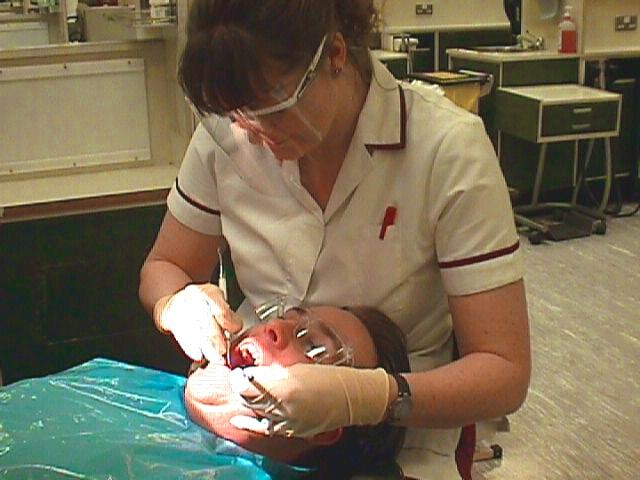 An oral hygienist performing scraping and polishing of the teeth may also have to work more carefully too. Apart from a bit more planning with a slower pace of treatment and blood tests your visit shouldn’t really be much different than for other people. After treatment you may need some post-dental mouthwash to use instead of brushing. You will normally resume your normal anticoagulant dosage and then get your INR retested a few days later so that your haematologist can check you still have adequate therapeutic cover. Ask your dentist what course of action they will take if things take an unexpected turn. In the unlikely event a major blood vessel in your gum causes uncontrollable bleeding it may need more than just your dentist’s best intentions to fix things. Find out if there is a hospital nearby and see if you can establish if they will offer support to your dentist. In some cases a dental school near to a hospital can be a good place to receive treatment.